Birmingham, AL native, 21-year-old Catherine Burks was a student at Tennessee State University when she volunteered for the Nashville Movement Freedom Ride. On May 18, she bantered with the ultra-segregationist Birmingham Public Safety Commissioner Bull Connor as he drove the Nashville riders from jail back to the Tennessee state line. In Freedom Riders, Burks says she borrowed a line from the Westerns of the day, telling Connor, "We'll see you back in Birmingham by high noon." Two days later, she found herself in a riot at the Montgomery Greyhound Bus Station. In Freedom Riders, she vividly recalls the assault on fellow Freedom Rider Jim Zwerg. "Some men held him while white women clawed his face with their nails. And they held up their little children --children who couldn't have been more than a couple years old -- to claw his face. I had to turn my head back because I just couldn't watch it." She described the beginning of the siege of the First Baptist Church in Montgomery by an angry segregationist mob on the following day. "I heard a rock hit the window. Some of us got up to look out the window and we got hit by more rocks. That's when a little fear came." 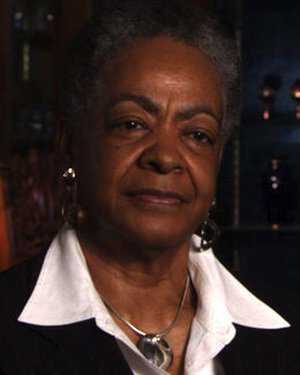 In August 1961, she married fellow Freedom Rider Paul Brooks. They were later active in the Mississippi voter registration movement, co-editing the Mississippi Free Press from 1962-1963. In the decades following the Freedom Rides, Burks owned a successful jewelry boutique and worked as a social worker, teacher, and Avon cosmetics sales manager. Part of the original May 4 CORE Freedom Ride, the Rev. 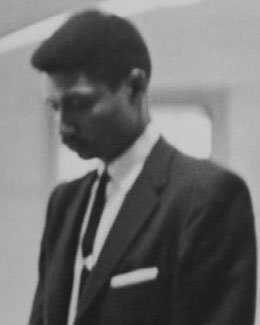 Benjamin Elton Cox was an outspoken black minister based in High Point, NC who had traveled through the region spreading the gospel of nonviolence during the spring and summer of 1960. Cox also participated in the July 8-15, 1961 Missouri to Louisiana CORE Freedom Ride. Defending the actions of the Freedom Riders, Cox argues in Freedom Riders, "If men like Governor Patterson [of Alabama] and Governor Barnett of Mississippi... would carry out the good oath of their office, then people would be able to travel in this country. Then people in Tel Aviv and Moscow and London would not pick up their newspaper for breakfast and realize that America is not living up to the dream of liberty and justice for all." 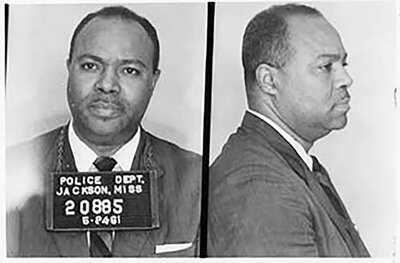 The preacher and longtime civil rights activist was arrested 17 times over the course of several decades. Prior to retirement, he served as minister at Pilgrim Congregational Church in High Point, NC, as chaplain at the VA Hospital in Urbana, IL, and as a middle school counselor in Jackson, TN. A student at Claflin College in Orangeburg, SC, 18-year-old Glenda Gaither —sister of CORE field secretary Tom Gaither— was already a veteran of the state's sit-in movement to end lunch counter segregation. On May 30, 1961, she arrived in Jackson, MS as part of the first group of eight Freedom Riders from New Orleans, LA to conduct tests at a railway terminal. When they attempted to use the white restrooms, they were arrested for disorderly conduct and sentenced within the hour to a $200 fine and a 60-day jail term. In 1965 Gaither married her boyfriend Jim Davis, a participant in the same ride, and later worked as a job placement director at Spelman College. She recalls in Freedom Riders, "Even though we came from many different places and we had many different cultures and many different home environments, in some ways we were very much unified because we had a common cause... we knew that we had taken a stand and that there was something better out there for us." Later dubbed "the most arrested rabbi in America," the outspoken Rabbi Israel "Si" Dresner participated in the June 13-16 Interfaith Freedom Ride from Washington, DC to Tallahassee, FL. The son of a Brooklyn delicatessen owner, he graduated from the University of Chicago (1950) and Hebrew Union College-Jewish Institute of Theology. After successfully completing the Freedom Ride to Tallahassee, the Interfaith Riders had planned to fly home. First, however, they decided to test whether or not the group would be served in the segregated airport restaurant. As a result 10 Freedom Riders, later known as the Tallahassee Ten, were arrested for unlawful assembly and taken to the city jail. They were convicted and sentenced later that same month; legal appeal of the airport arrests continued for years. Dresner returned along with 9 of the original riders to serve brief jail terms in August 1964 - and ate triumphantly in the same airport restaurant that had earlier refused them service. 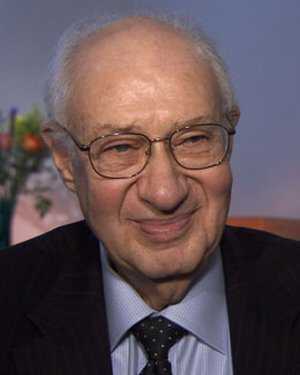 Dresner continued his civil rights activism and advocacy throughout his career as a reform Jewish rabbi in northern New Jersey, participating in the 1962 Albany campaign to desegregate municipal facilities and in the 1965 Selma-to-Montgomery march. He retired in 1996. 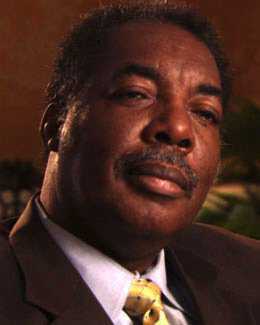 Co-founder and National Director of the Congress of Racial Equality (CORE), James "Jim" Farmer was the architect of the original CORE Freedom Ride of 1961. He saw the significance of desegregating interstate travel and the potential of repeating CORE's 1947 Journey of Reconciliation as a movement tactic. He endorsed a new name, "Freedom Ride," to win media attention and better communicate the mission and goals of the trip. A child prodigy who earned early fame as a debater, Farmer grew up in Marshall, Texas, where his father, James L. Farmer, Sr. was a professor at the historically black Wiley College. Farmer devoted his career to civil rights and social justice causes, working for the NAACP and the Fellowship of Reconciliation (FOR), CORE's parent organization, prior to his February 1961 election as director of CORE. Farmer's signature initiative was the Freedom Rides, initiated just three months after he took office. At that time, CORE was less well known than the National Association for the Advancement of Colored People (NAACP), Dr. Martin Luther King's Southern Christian Leadership Coalition (SCLC) or the Student Nonviolent Coordinating Committee (SNCC). Farmer envisioned the ride as a way to vault CORE and its philosophy of nonviolent direct action to prominence on the national stage, with attendant opportunities for policy-making and fundraising. Farmer took part in the ride, but returned to Washington, D.C. from Atlanta, GA on the morning of May 14 for his father's funeral. He was haunted by guilt as a result, especially since he was spared from some of the Rides' worst violence - the May 14 Anniston, AL Greyhound bus burning and the Birmingham, AL Trailways Bus Station Riot. Farmer later recalled his emotions upon learning of his father's death in Atlanta. "There was, of course, the incomparable sorrow and pain," he said. "But frankly, there was also a sense of reprieve, for which I hated myself. Like everyone else, I was afraid of what lay in store for us in Alabama, and now that I was to be spared participation in it, I was relieved, which embarrassed me to tears." On May 21, Farmer flew to rejoin the riders in Montgomery, AL. Upon arriving in Jackson, MS, three days later, Farmer was jailed for "breach of peace" and other charges and later was transferred to Mississippi's notorious Parchman State Prison Farm. Historians acknowledge Farmer's central visionary role in bringing the Freedom Rides to fruition. In 1966, Farmer eventually left CORE and the Civil Rights Movement, citing its growing acceptance of racial separation as his reason. He served in the Nixon Administration as Assistant Secretary of the Department of Health, Education, and Welfare, and co-founded the Fund for an Open Society in 1975. President Bill Clinton awarded him the Presidential Medal of Freedom in 1998. James Farmer died from complications of diabetes in 1999. A native of Piedmont, AL, William Harbour was the oldest of eight children and the first member of his family to go to college. At age 19, while a student at Tennessee State University, he had already participated in civil disobedience, traveling to Rock Hill, SC to serve jail time in solidarity with the "Rock Hill Nine" — nine students imprisoned after a lunch counter sit-in. One of the first to exit the bus when the Nashville Movement Freedom Ride arrived at the Montgomery Greyhound Bus Station, Harbour encountered a mob of 200 people wielding lead pipes and baseball bats. Harbour survived the riot but after the end of the Freedom Rides, still faced hostility in his native Alabama. 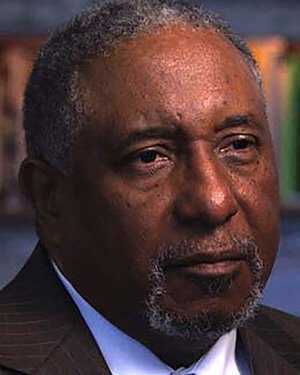 He was also one of 14 Freedom Riders expelled from Tennessee State University. 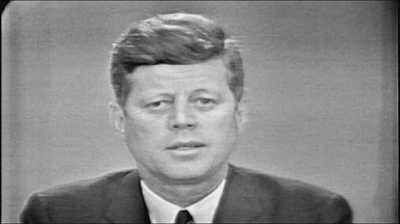 "Be best for you not to come [home]," his mother warned him in 1961. With the exception of one brief visit, he stayed away from Piedmont for the next five years. After the Freedom Rides, Harbour taught school for several years, and eventually became a civilian federal employee specializing in U.S. Army base closings. Today, Harbour acts as the unofficial archivist of the Freedom Rider Movement. He moved to Atlanta, GA in 1969. One of two women participants in the original 13-person Congress of Racial Equality (CORE) Freedom Ride, 28-year-old CORE Field Secretary Genevieve Hughes was a former financial analyst for Dun and Bradstreet. She became active in the New York City chapter of CORE during the late 1950s, helping to organize a boycott of dime stores affiliated with chains resisting desegregation in the South. Alienated from the conservatism of Wall Street, she made the shift to full-time activism in 1960. A Maryland native, Hughes explained her motivation for joining the Freedom Ride by saying, "I figured Southern women should be represented so the South and the nation would realize all Southern people don't think alike." During the original CORE Freedom Ride, Hughes survived the brutal May 14, 1961 attack on the Greyhound Bus near Anniston, Alabama. On May 15, when faced with mounting threats and intimidation, the Riders could not find a bus driver willing to take them further, and they flew from Birmingham, AL to New Orleans, LA. 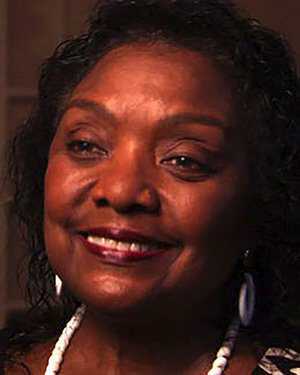 Part of the May 28 wave of Freedom Riders from the Nashville Student Movement, Pauline Knight-Ofusu escaped the violence of the earlier rides. Pauline Knight was a 20-year-old Tennessee State student when she was arrested in Jackson, MS. After being transferred to Hinds County Jail, she led a brief hunger strike among the female Riders. "I got up one morning in May and I said to my folks at home, ‘I won't be back today because I am a Freedom Rider,'" said Knight-Ofusu in her interview for Freedom Riders. "It was like a wave or a wind, and you didn't know where it was coming from but you knew you were supposed to be there. Nobody asked me, nobody told me." Twenty-year-old Bernard Lafayette hailed from Tampa, FL and was enrolled as an undergraduate at Nashville's American Baptist Theological Seminary. A veteran of the Nashville sit-ins, Lafayette had already staged a successful impromptu Freedom Ride with his close friend and fellow student activist John Lewis in 1959, while traveling home for Christmas break, when they decided to exercise their rights as interstate passengers by sitting in the front of a bus from Nashville, TN to Birmingham, AL. As part of the May 17 Nashville Student Movement Ride, Lafayette endured jail time in Birmingham, riots and firebombings in Montgomery, AL, an arrest in Jackson, MS and jail time at Parchman State Prison Farm during June 1961. After the end of the Freedom Riders campaign, he worked on voting rights and helped to coordinate the 1968 Poor Peoples Campaign. He completed a doctorate in Education at Harvard University and for several years was the Director of the Center for Nonviolence and Peace Studies at the University of Rhode Island. He currently teaches at Emory University and conducts nonviolent workshops worldwide. Thirty-two-year-old Rev. 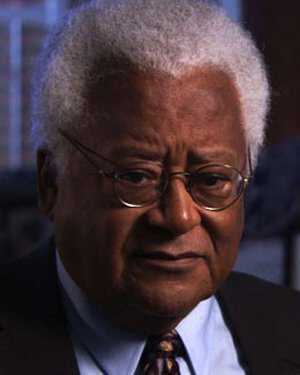 James Lawson introduced the principles of Gandhian nonviolence to many future leaders of the 1960s Civil Rights Movement. Born in western Pennsylvania and raised in Ohio, he spent a year in prison as a conscientious objector during the Korean War, as well as three years as a Methodist missionary in India, where he was deeply influenced by the philosophy and techniques of nonviolent resistance developed by Mohandas Gandhi and his followers. While enrolled as a divinity student at Oberlin College, Lawson met Martin Luther King, Jr., who urged Lawson to postpone his studies and take an active role in the Civil Rights Movement. "We don't have anyone like you," King told him. Following King's advice, Lawson headed South as a field secretary for the Fellowship of Reconciliation. In Nashville, TN, he helped organize the Nashville Student Movement's successful sit-in campaign of 1960 and was expelled from Vanderbilt University School of Divinity as a result. He trained Diane Nash, Bernard Lafayette, John Lewis and many others through his famous workshops on the tactics of nonviolent direct action. When the original CORE Freedom Ride stalled in Birmingham, AL, Lawson urged the Nashville Student Movement to continue the Freedom Rides. He conducted workshops on nonviolent resistance while the Freedom Riders spent several days holed up in the Montgomery, AL home of Dr. Richard Harris. During an impromptu press conference on the National Guard-escorted bus that traveled from Montgomery to Jackson, MS, he told reporters that the Freedom Riders "would rather risk violence and be able to travel like ordinary passengers" than rely on armed guards who did not understand their philosophy of combating "violence and hate" by "absorbing it without returning it in kind." In 1968, Lawson chaired the strike committee for sanitation workers in Memphis, TN. At Lawson's request, Martin Luther King, Jr. spoke to the striking workers on the day before his assassination. In 1974, Lawson moved to Los Angeles to lead Holman United Methodist Church where he served as pastor for 25 years before retiring in 1999. Throughout his career and into retirement, he has remained active in various human rights advocacy campaigns, including immigrant rights and opposition to war and militarism. In recent years he has been a distinguished visiting professor at Vanderbilt University. 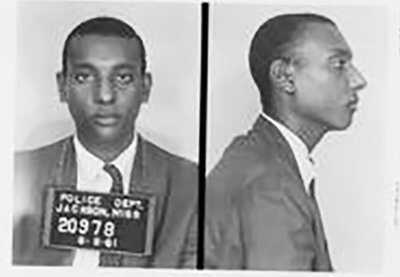 A student at Tennessee State University, Leonard was active in the Nashville sit-in movement in 1960-61 before taking part in the May 17 Nashville Movement Freedom Ride. He faced an angry, violent mob upon arriving at the Montgomery Greyhound Bus Station on May 20, and was imprisoned at Parchman State Prison Farm after reaching Jackson, MS. After his release from Parchman in August 1961, he traveled to participate in the effort to convert the militant black leader Robert Williams to non-violence. He later married fellow Freedom Rider Joy Reagon. 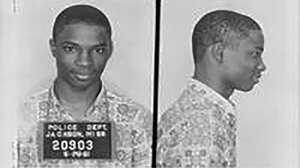 By the time 19-year-old John Lewis joined the 1961 CORE Freedom ride, he already had five arrests under his belt as a veteran of the Nashville Student Movement. The son of hardscrabble tenant farmers from Pike County, AL, he attended American Baptist Theological Seminary in Nashville, TN where he was deeply influenced by Rev. Kelly Miller Smith and Rev. James Lawson. On May 10, several days before the Riders crossed into Alabama, Lewis had left the CORE Ride to interview for a fellowship. By chance, he was in Nashville on May 14 when the news broke of the violent bus burning in Anniston, AL and the riot at the Birmingham Trailways Bus Station. Lewis helped to convince his friends and mentors from the Nashville Student Movement to get involved. He rode to Birmingham with the Nashville cohort, endured the angry mob in Montgomery, and was arrested in Jackson and served jail time at Mississippi's Parchman State Prison Farm. Lewis would become the best-known among the youthful Freedom Riders, serving as chairman of the Student Nonviolent Coordinating Committee (SNCC), speaking at the 1963 March on Washington, and playing a pivotal role in the 1965 Selma — Montgomery March. In 1986, John Lewis was elected to represent Georgia in the U.S. House of Representatives where he currently is serving his 12th term. Ivor "Jerry" Moore was part of the original 1961 Congress of Racial Equality (CORE) Freedom Ride, joining the ride in Sumter, SC on May 11. He was present at the Klan-organized riot on May 14 at the Birmingham Trailways Bus Station. The son of a Baptist minister from the Bronx, Moore had already been involved in several sit-ins and marches against segregation as a student at Morris College in Sumter, South Carolina before participating in the Freedom Rides. After graduating from college in 1964, he became a folk and rock musician in Greenwich Village and Woodstock, NY. Moore moved to Los Angeles in 1980, where he conducted street ministry for drug addicts and the homeless, taught computer skills, and coordinated church outreach activities. Twenty-four-year-old Morris College student Mae Frances Moultrie was the only African-American female on the original May 4 Congress of Racial Equality (CORE) Freedom Ride, joining the ride on May 11th in Sumter, SC. She suffered severe smoke inhalation during the firebombing and burning of the Greyhound bus on May 14 by an angry Klan mob at the Forsyth Grocery Store outside Anniston, AL. She was taken to the hospital in Anniston along with the other injured Riders, but the interracial group was not allowed to spend the night. Moultrie was so badly overcome by the heat and smoke, she says in Freedom Riders, that she could not remember "if I walked or crawled off the bus." In October 1961, she moved to Philadelphia, PA to attend Cheyney State College. She later received an M.S. in education from Temple University. Moultrie taught school in Delaware from 1964-1990, after which she served as a missionary in Liberia, Mexico, and Canada. Later, she taught Christian education at Sanctuary Christian Academy in Philadelphia. 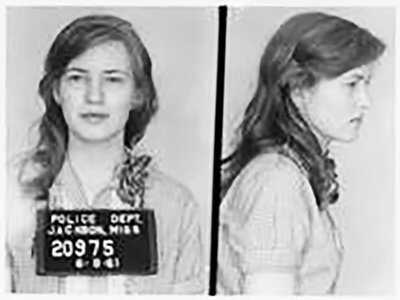 A 19-year-old Duke University student and part-time secretary in the Washington office of Senator Clair Engle of California, Joan Trumpauer arrived in Jackson, MS by train from New Orleans, LA as part of the June 4, 1961 Mississippi Freedom Ride. The group was promptly ushered by Jackson police to a waiting paddy wagon; all nine Riders refused bail. Trumpauer was transferred to Parchman State Prison Farm. 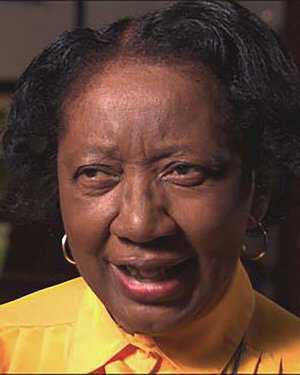 In her interview for Freedom Riders, she recalls the harrowing conditions at Parchman, which included forced vaginal examinations used as a tactic to humiliate and terrorize female prisoners. After the Freedom Rides, Trumpauer studied at Tougaloo College and was a Freedom Summer organizer in 1964. She later worked at the Smithsonian with the Community Relations Service and at the Departments of Commerce and Justice before teaching English as a second language at an Arlington, VA elementary school. The 21-year-old Tennessee State student was the drum major in the University marching band when, in 1961, he became involved in the Nashville Movement. Patton arrived in Montgomery, AL on Tuesday, May 23 to help reinforce the riders meeting at the home of Dr. Harris after the May 21 firebombing and siege of Montgomery's First Baptist Church. 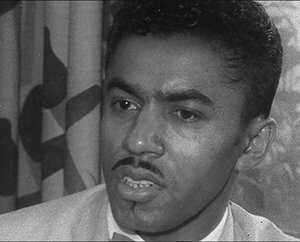 Ernest "Rip" Patton, Jr. took part in the May 24, 1961 Greyhound Freedom Ride to Jackson, MS, where he was arrested and later transferred to Mississippi's notorious Parchman State Prison Farm. Patton was one of 14 Tennessee State University students expelled for participating in the Rides. Following the Freedom Rides, he worked as a jazz musician, and later as a long-distance truck driver and community leader. For the past three years, Patton has served as the Freedom Rider on an annual university sponsored Civil Rights tour of the Deep South. 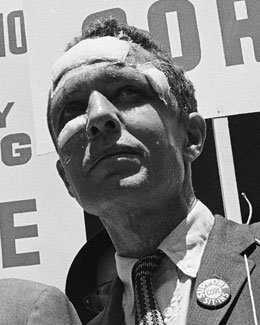 Radical journalist and pacifist James Peck was the only individual to participate in both the Fellowship of Reconciliation's 1947 Journey of Reconciliation and the 1961 CORE Freedom Ride. Born into the family of a wealthy clothing wholesaler in 1914, Peck was a social outsider at Choate, an elite Connecticut prep school, in part because his family had only recently converted from Judaism to Episcopalianism. At Harvard he quickly gained a reputation as a campus radical, shocking his classmates by bringing a black date to the freshman dance. Peck dropped out after the end of his freshman year, spending several years as an expatriate in Europe and working as a merchant seaman. Returning to the United States in 1940, Peck devoted himself to organizing work and journalism on behalf of pacifist and social justice causes. He spent almost three years in federal prison during World War II as a conscientious objector. After his release from prison in 1945, he rededicated himself to pacifism and militant trade unionism. In the late 1940s, Peck became increasingly involved in issues of racial justice, joining the Congress of Racial Equality (CORE) as a volunteer. On May 14, Peck assumed de facto leadership of the 1961 CORE Freedom Ride after James Farmer returned to Washington for his father's funeral. Peck sustained heavy injuries to the face and head during the Ku Klux Klan riot at the Birmingham Trailways Bus Station. It took more than an hour for Rev. Fred Shuttlesworth to find an ambulance willing to take Peck to the all-white Carraway Methodist Hospital, where staff refused to treat him. Peck was finally able to see a doctor at Jefferson Hillman Hospital, where he received 53 stitches. Undeterred by his injuries, he urged the riders to continue. "If he could be beaten as he was and still go on, we certainly felt we could go on," says Genevieve Hughes in Freedom Riders. In 1976, Peck, along with Walter Bergman, filed a lawsuit against the FBI, seeking $100,000 in damages for the lasting injuries he sustained as a result of the riot, in which paid FBI informant Gary Thomas Rowe Jr. was an active participant. In 1983, he was awarded a partial settlement of $25,000. James Peck passed away in 1993. Twenty-seven year-old Congress of Racial Equality (CORE) Field Secretary Joe Perkins hailed from Owensboro, KY. The oldest of six children, he spent four years at Kentucky State University in Frankfort before enlisting for two years in the army in 1954. As a graduate student at the University of Michigan, he demonstrated on behalf of the Southern sit-in movement to end lunch counter segregation. Recruited by CORE in August 1960, he gained a reputation as a bold and skillful organizer. 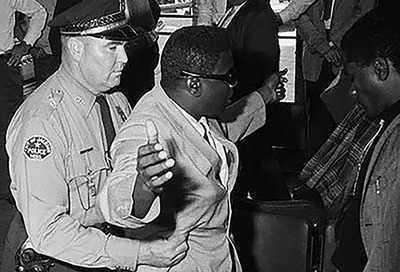 Perkins was the first member of the original 1961 CORE Freedom Ride to be arrested, for requesting a shoeshine from a whites-only shoeshine chair during an impromptu "shoe-in" in Charlotte, NC on May 9. After two days in a Charlotte jail, he rejoined the group and served as leader of the Greyhound Riders on May 14, when their bus was burned in Anniston, AL. 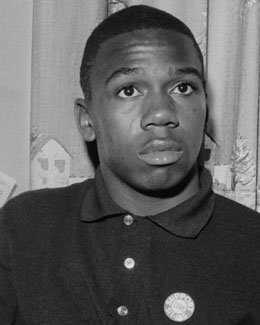 The youngest member of the original 1961 Congress of Racial Equality (CORE) Freedom Ride, 18-year-old Charles Person was a freshman at Atlanta's Morehouse College. Born and raised in Atlanta, Person had been surrounded by reminders of segregation throughout his life. A gifted math and physics student who dreamed of a career as a scientist, he was refused admission to the all-white Georgia Institute of Technology. While at Morehouse, he became active in the Atlanta sit-in movement to integrate segregated lunch counters in early 1961 and was sentenced to 16 days in jail as a result. Along with Jim Peck and Walter Bergman, Person was one of the most badly beaten of the Riders during the May 14, 1961 riot at the Birmingham Trailways Bus Station. After the Freedom Rides, Person joined the U.S. Marines in late 1961, retiring after two decades of active service. He lived in Cuba from 1981-1984. Since returning to Georgia, he has worked in Atlanta's public schools as a technology supervisor. 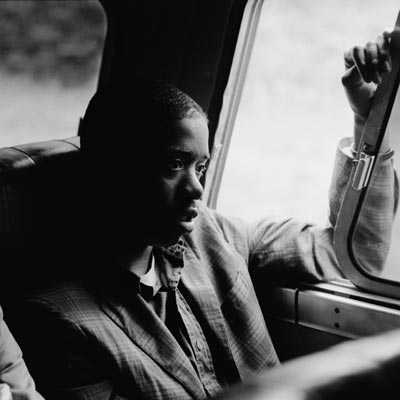 Nineteen-year-old Hank Thomas joined the 1961 Congress of Racial Equality (CORE) Freedom Ride at the last minute after his roommate John Moody dropped out with a bad case of the flu. "When folks ask me what incident led me to ride," he said years later. "I can't say it was one. When you grow up and face this humiliation every day, there is no one thing. You always felt that way." Thomas overcame an impoverished childhood in southern Georgia and St. Augustine, FL to attend Howard University in Washington, D.C., where he was active in the Student Nonviolent Coordinating Committee (SNCC) affiliated Nonviolent Action Group (NAG). After participating in the May 4 CORE Freedom Ride, Thomas returned to the Deep South to participate in the May 24 Mississippi Freedom Ride from Montgomery, AL to Jackson, MS, and was jailed at Parchman State Prison Farm. After being released on bail, he went on to participate in the July 14 New Jersey to Arkansas CORE Freedom Ride. On August 22, 1961 Thomas became the first Freedom Rider to appeal his conviction for breach of peace. He was released on appeal, pending payment of a $2000 bond. 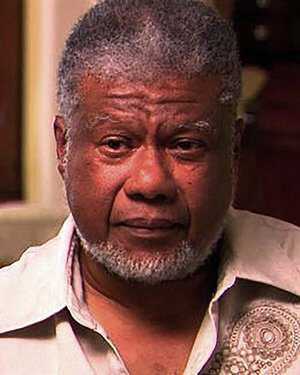 Following the Freedom Rides, Thomas served in the Vietnam War, returning home after being wounded in 1966. In recent years, Thomas has owned and operated several hotel and fast food restaurant franchises in the Atlanta metro region. A 36-year-old Baptist minister from Howard, MO, the Reverend Cordy "C.T." Vivian was the oldest of the Nashville Riders. 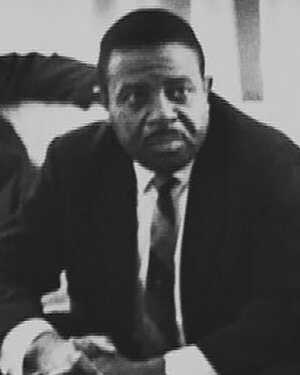 A close friend of James Lawson, he had gained the trust of the students involved in the Nashville Movement by participating in the 1960 Nashville sit-in campaign to end lunch counter desegregation. On May 24, 1961, he was arrested in Jackson, MS on the formal charge of breach of peace and imprisoned at Parchman State Prison Farm. 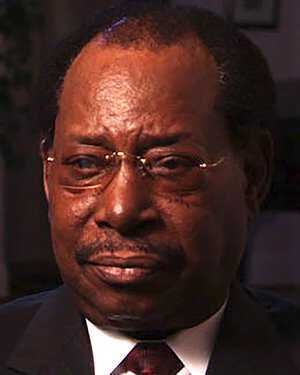 One of the Civil Rights Movement's most respected and revered figures, he was named director of Southern Christian Leadership Conference (SCLC) affiliates in 1963, and later founded and led several civil rights organizations, including Vision, the National Anti-Klan Network, the Center of Democratic Renewal, and Black Action Strategies and Information Center (BASIC). Jim Zwerg was a 21-year-old exchange student from Beloit College in Wisconsin who became active in the Nashville sit-in movement after attending one of James Lawson's workshops on nonviolence. As one of the two whites selected for the May 17 Nashville Movement Freedom Ride, he expected that he would be targeted for violence as a "race traitor." On May 20, his predictions proved accurate when he was beaten savagely during the riot at the Montgomery Greyhound Bus Station. Photographs of a bloodied, beaten Zwerg made headlines around the world. "We will continue our journey one way or another. 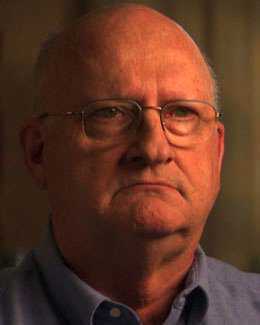 We are prepared to die," Zwerg told reporters from his hospital bed in St. Jude's Catholic Hospital. 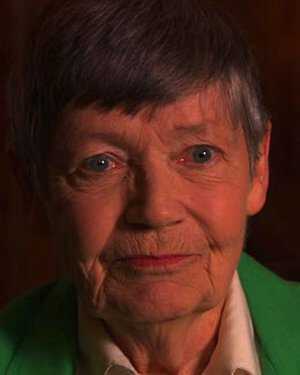 After the Freedom Rides, Zwerg worked as a United Church of Christ minister until 1975. Later, he worked as a personnel manager for IBM and at a hospice in Tucson, AZ, where he later retired. 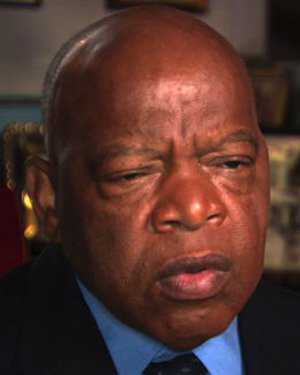 His close friendship with John Lewis is the subject of Ann Bausum's award winning book for young adults, Freedom Riders (1986). During the early 20th century, the NAACP and other organizations employed a variety of courtroom strategies to chip away at Jim Crow laws mandating racial segregation.